We love all the dentists at Elements, always kind, easy to work with, explains procedures well and respects our parental decisions. Some of our kids we have fluoride done and some we don’t and have personal reasons. We have never been made to feel uncomfortable with choices we make for our kids be it watching and waiting on a cavity or the fluoride like I mentioned. In this day and age I really am thankful for doctors who joyfully work alongside us parents in caring for our children. All three dentists have great bedside manners with adults on down to our three year old. We purchased the care package that gives each member of our family two cleanings, exams and xrays per year. We are a family of 10 and they gave us an excellent value. Scheduling is a breeze as well. Thanks for taking care of all our teeth!! This is the best dentist I have ever been to, period. The staff is welcoming and friendly, Dr Wolt and her staff are amazing. Yesterday I had two fillings and a crown done there and absolutely NOTHING hurt. This morning I feel great, no pain. If you are looking for a professional caring and friendly dentist, this is the place to go! After stumbling upon elements dental on a weekend before a holiday, I would highly recommend them to anyone. The entire staff is super nice and very helpful. Unfortunately I’ve had to make a few trips outside my normal 6 month cleaning, but every time I am there they are very pleasant. 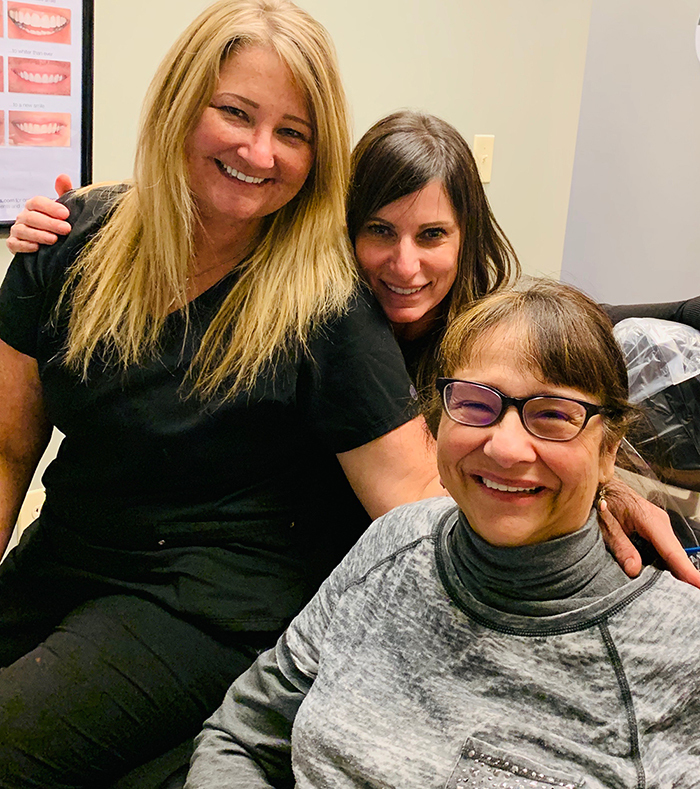 Typically going to see the dentist is a daunting experience, but everyone there helps to calm you and the dentists make genuine connections with you. I will be taking my entire family there when they reach the age of cleanings. Very polite and patient staff. Exceptional care and compassion. I look forward to my 6 month checkups at this office. They have a decorating contest, customer appreciation week and community involvement. I participated in the solar eclipse promotion they offered in August 2017. New to the Johnstown area, so we were unsure of going to new dentist. From the moment I called in I realized we were in good hands. Everyone there was so nice and professional. Broke a tooth and was sitting in their office the next day as a new patient. Thank you so much for your speed on getting me in and under a new treatment plan. These people are great! Always a pleasure to come in for our cleanings! Today the staff actually gave our son a gift bag for his 14th birthday. Very thoughtful and sweet, and they all signed the birthday card. Thank you for your kind gesture... Elements always leaves us smiling! I've been going here for the las 5 years. I drive an hour and a half to get there. It's for good reason, besides Sunday hours. They don't recommend unnecessary dental care (If you know how many dentists have wanted to yank my wisdom teeth- you'd be amazed). The staff is awesome, courteous, welcoming, and everything seems state of the art. Dr. Wolt seems to be incredibly proficient, and she hires competent staff. Best of all, I've always been seen right on time.